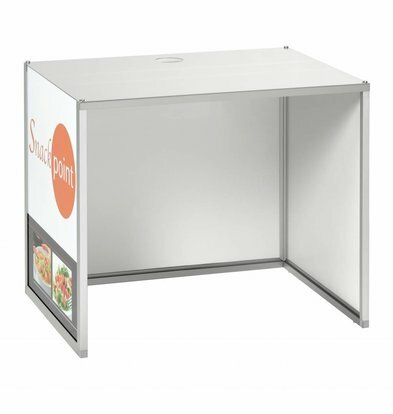 The handy snack points of XXLhoreca are quick to build and offer a comfortable counter behind which one can make all sorts of snacks to the man. All our snack points can be ordered at a fixed low price and with excellent warranty conditions, as you are used XXLhoreca! 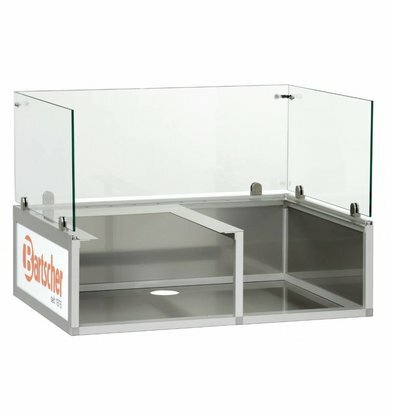 The basic snack point H1 of Bartscher with accompanying snack point substructure is the appropriate combination if you want to organize quickly a sale or cooking station. 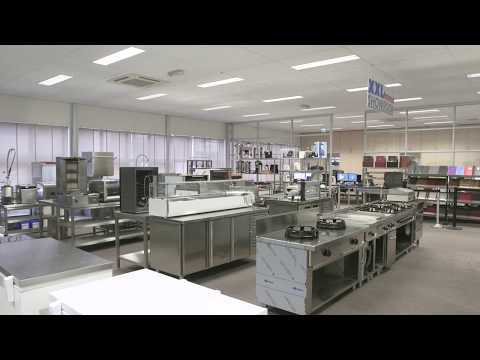 Bartscher calls it a 'modular front-cooking station', we think you can really go with it. From holding tastings to create an informal outlet in your shop or catering company. 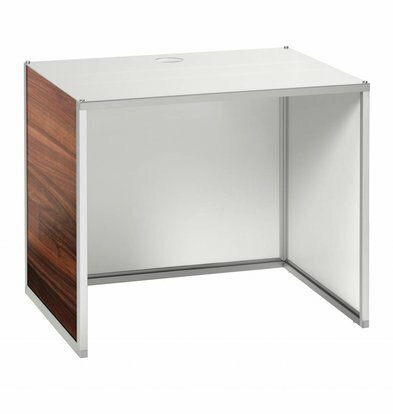 Regarding the use of materials from our snack points we would like to give the following; The dibond plate with protective laminate "wood look" offers a luxurious and ergonomic protection inside the snack pint is coated with aluminum and stainless steel and the whole example also offers sufficient space for an induction hob. 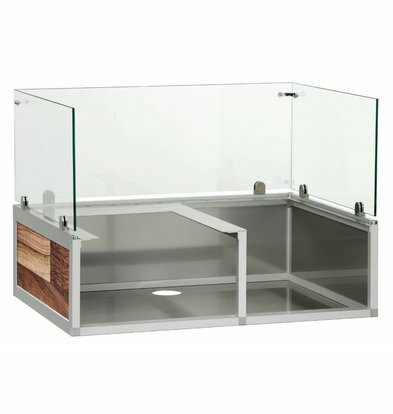 The glass around the snack point is made of strong safety glass. Want to know more about our convenient and fast construction standard snack points? Ask our customer service!